Automatically number your documents with one of our numbering machines. Choose from manual, electric, or air powered, in handheld or tabletop models. You can number any place on the sheet in consecutive, duplicate, triplicate, 4 times, 6 times, and 12 times in repeat action. Easy setup by any operator as the paper guides are fully adjustable for simple registration. 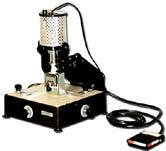 The Tablematic Plus is a hand fed, foot-pedal operated numbering machine. It can number up to 1000 forms per hour. The numbering heads move side to side across the bar with one knob adjustment. 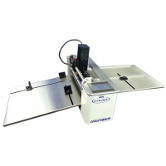 The iNumber is a tabletop automatic hand feed numbering machine. It's deigned to be a low cost solution for low to meduim volume numbering. 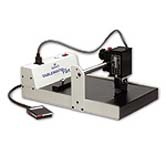 The Number Pro Touch friction feed machine can micro-perf, score, and number up to 12 times per head per sheet. 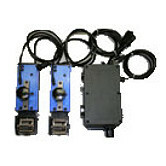 Available with one or two electric or pneumatic numbering heads. One electric head is standard. 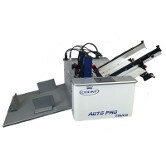 The Auto Pro Touch numbering machine is a friction feed automatic numbering, perforating, and scoring machine. 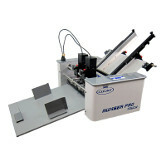 It can micro-perf, score digital media, and number up to 12 times per head per sheet. The FC114 combines a user friendly interface with flexibility and speed. It's ideal for shops doing a multitude of jobs and who require automatic feeding. 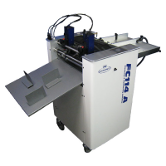 This friction fed 18" wide unit is designed to do high-quality creasing, perforating, and scoring and optional micro-perfing and is easily operated by anyone in your shop. The FC114-A combines a user friendly interface with flexibility and speed. It's ideal for shops doing a multitude of jobs and who require automatic feeding. 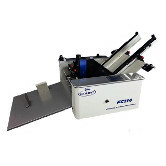 This air fed 18" wide unit is designed to do high-quality creasing, perforating, and scoring and optional micro-perfing and is easily operated by anyone in your shop. The PS-10 is the ultimate high production, quality rotary numbering system, loaded with features found in no other competitive machine. 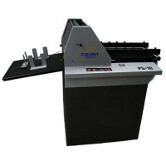 This dramatically increases your numbering production capability with greater versatility.